Build a bridge and test your construction skills. Help your workers collect items located on the other side of the valley. Build a bridge using the components and the budget available. 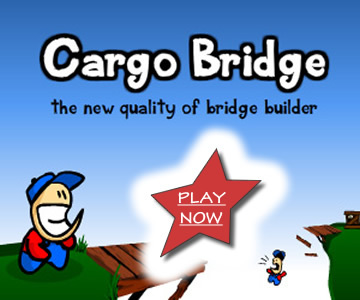 Once it is done, click "Test your bridge" to see if it will sustain the weight of the workers and the cargo. Your workers will use it to get items located at the other side of valley, and bring them back to the shop. Your goal is to collect all items in level.